So many pregnant women experience red, swollen, and sometimes bleeding gums during their pregnancies that dentists have a name for it—pregnancy gingivitis. As an early stage of gum disease, gingivitis is characterized by inflammation of the gums that causes redness and potential swelling to occur. With gingivitis you might also experience a moderate level of recession and your teeth might appear elongated or longer than normal. What to do? Regular dental visits and good oral hygiene that includes brushing and flossing daily are recommended by the American Dental Association. This regimen reduces the plaque and tartar buildup that can worsen gingivitis if left untreated. This goes double for pregnant women combating swollen or bleeding gums. It’s estimated that half of pregnant women struggle with gingivitis during pregnancy, and (although more research is needed) gingivitis, pregnancy, and premature or underweight births have been reported. As with all scientific data, correlation is not causality so it may be that another factor (like hormonal changes during pregnancy) are causing or worsening a pregnant woman’s gingivitis and pregnancy. 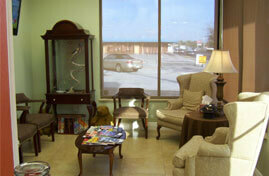 That said, receiving regular dental services and oral health screenings is highly recommended. The dental community is basically in agreement on what causes reddening and inflammation in the gums of the half of pregnant women who get pregnancy gingivitis, but the full explanation is slightly complicated. It’s believed that during pregnancy a woman’s fluctuating hormone levels and more blood flow going to the gum tissue worsen but don’t actually cause pregnancy gingivitis. The unfortunate part is that hormonal changes can lead to more plaque near the gum line and more plaque near the gum line can’t be eradicated partly because of hormonal changes. A vicious cycle. 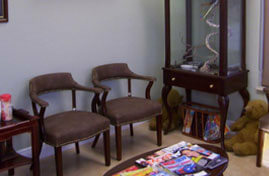 Pregnancy gingivitis is often at its most pronounced in the second trimester onwards. Bringing a new life into the world is a beautiful thing, but it can take a toll on a woman’s body. It’s important for pregnant women to do a few things to lessen the chances of developing pregnancy gingivitis or at least prevent it from devolving into the more serious form of gum disease known as periodontal disease. 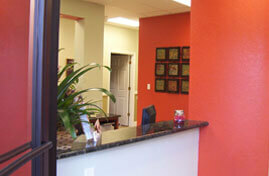 To do that it’s recommended that pregnant women take advantage of a number of dental services available today. Regular cleanings in which your dentist uses a device known as an explorer to gently remove hardened plaque and tartar from near the gum line are definitely a good idea. As for at-home remedies and treatments, rinsing your mouth with warm salt water can reduce the presence of bad bacteria. There are added benefits to a warm salt water rinse since a warm salt water rinse is considered an isotonic solution that contains the same balance of nutrients and salts as our bodies. This rinse, in essence, cleans up your mouth and can have a palliative, soothing effect as well. You might also want to consider making your oral environment more alkaline and less acidic through taking two steps—brushing your teeth after any vomiting or morning sickness and, secondly, eating more alkalizing vegetables like spinach, kale, cucumber, and broccoli. These vegetables tend to be high in vitamin C (for gum health) and calcium (for teeth). 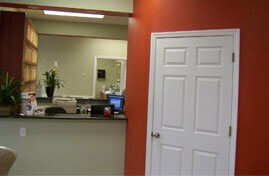 Still, regular dental services are still essential for detection and treatment of gingivitis. 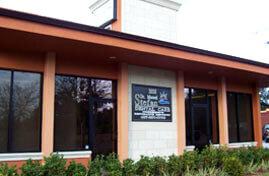 To schedule an appointment at Manuel Stefan Dental Care, give us a call!